This year–for the first time in more than a decade–we’ll be empty nesters on Easter Sunday! As it turns out this holiday coincides with our grandkids’ spring break so most of our clan will be away. Instead of cooking for six, I’m planning a menu for two. 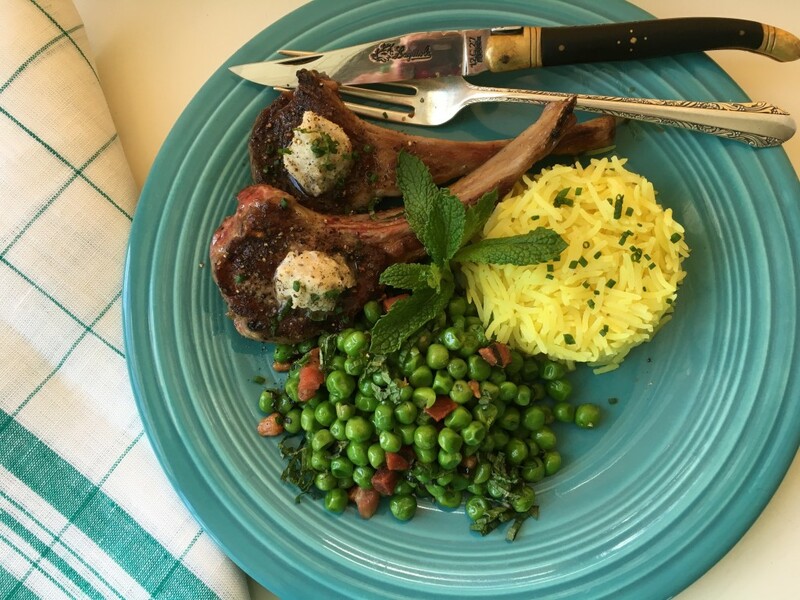 Although ham was the star of Easter meals when I was growing up in the South, I’m a huge fan of lamb, and came up with the idea for grilled lamb chops topped with dollops of Pecorino/black pepper butter. First Home Cooked Meal in Paris! Following a brief trip to London, we made our way to Paris and settled in the apartment we rent. After eating out for several days across the Channel, I couldn’t wait to go to the nearby markets and buy the makings for a simple supper. 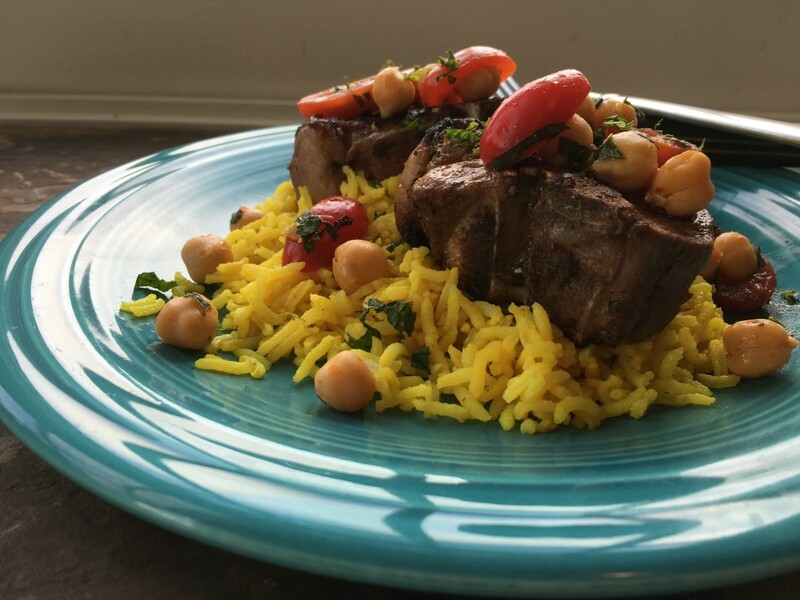 I decided on lamb chops marinated in a spicy mix of harissa, lemon juice, and olive oil along with fresh herbal accents of mint and cilantro. As a garnish for the lamb, I reserved some of this marinade as a dressing for cherry tomatoes and chickpeas. Every so often a restaurant dish is so good, so inventive, yet so simple that I can’t wait to try it in my own kitchen. 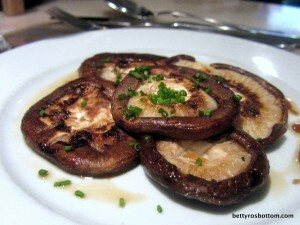 The grilled shiiktake mushrooms with sesame oil on the menu at Semilla (one of my favorite Paris restaurants) are such a creation. We’ve dined in this Left Bank place at least a half dozen times in the past year, and on every occasion either my husband or I have ordered them. They arrive, stemmed but left whole, usually a half dozen or so on a small plate. A sprinkling of chives and a few pools of sesame oil are the only garnishes. One bite of the tender fungi scented with fragrant toasted sesame oil and you’d be smitten too. 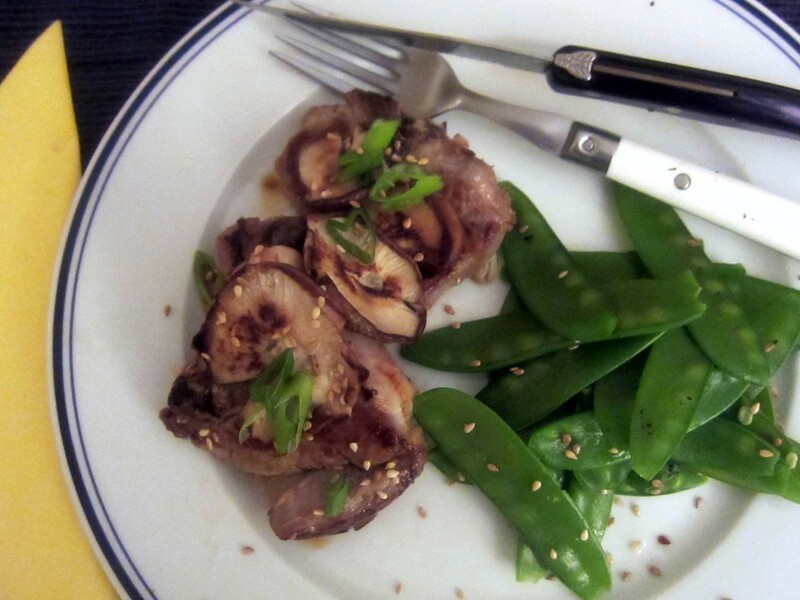 During a visit a few weeks ago, I asked our waitress for the recipe, and, smiling, she responded, “Mais c’est très facile!” Then she explained that the shiitakes were seasoned with soy and sesame oil and quickly pan grilled. 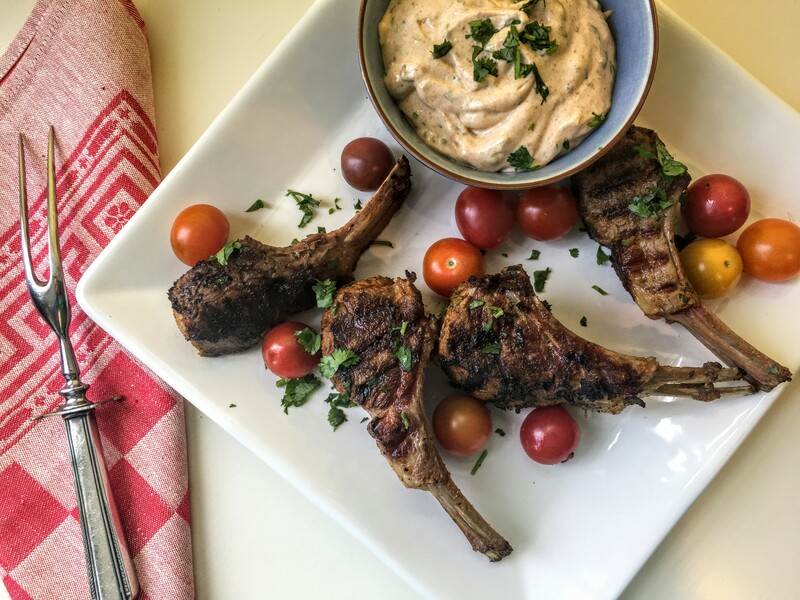 A few days later I tried them in my petite French kitchen, and discovered that were indeed effortless, and took only a few minutes to prepare. My son, Mike, is a talented cook, and during our family’s summer vacation, he and I teamed up to prepare the evening meals. Often we went to the market, chose what looked good, and decided how we’d use if after returning home. 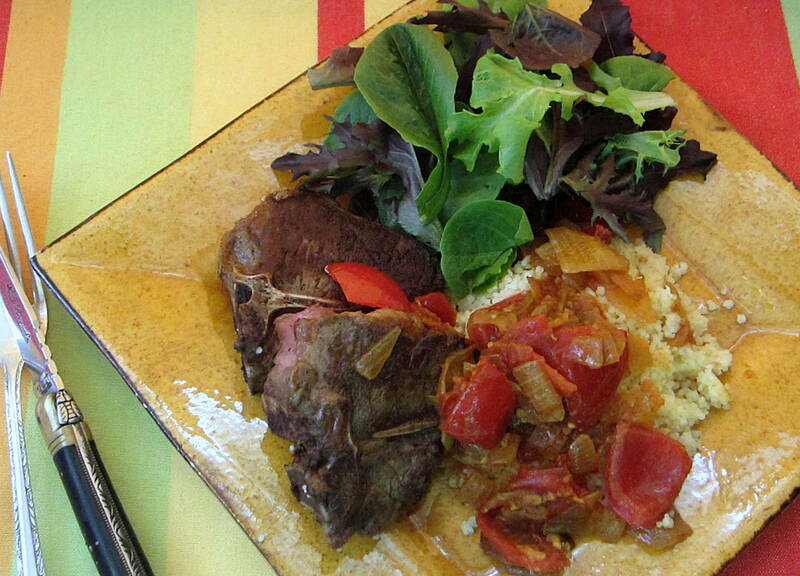 That was certainly the case with a colorful tomato and onion confit we whipped up one night.